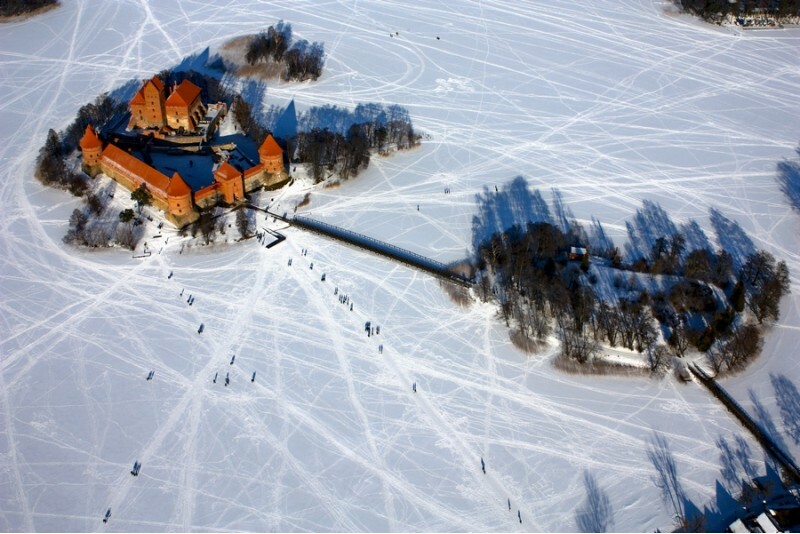 The pride of Lithuania, Trakai is the only town in all of Eastern Europe, build on the island. 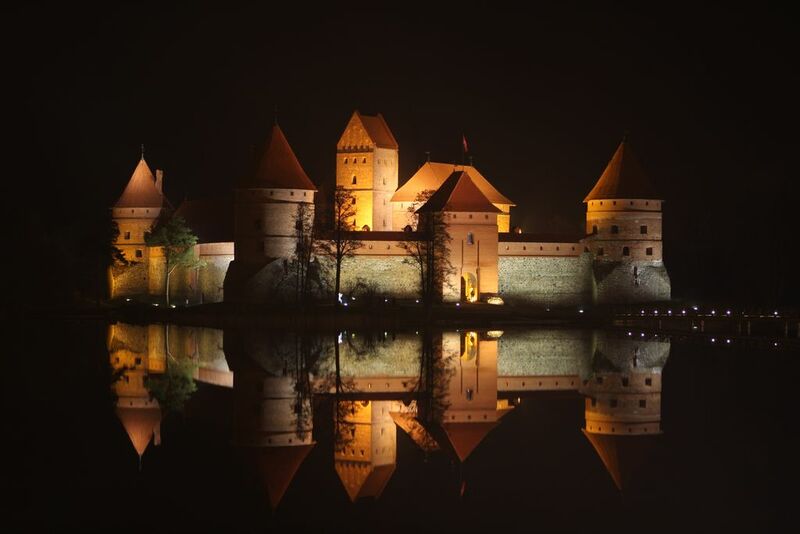 At the end of the 14th century, Trakai castle was a residence to Lithuanian Grand Dukes. 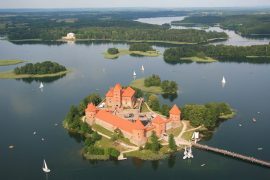 Trakai castle is one of the major touristic attractions in Lithuania. 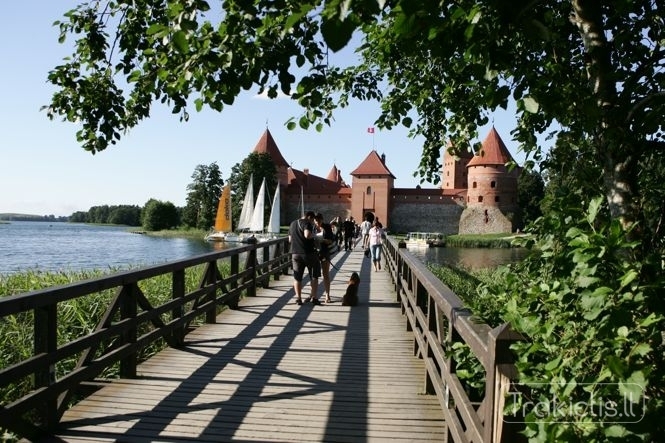 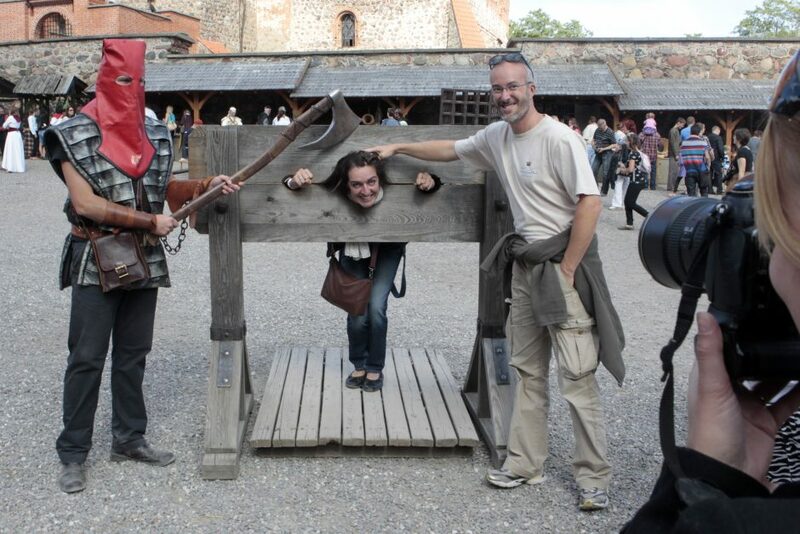 Every year more and more tourists visit a museum located in Trakai castle. 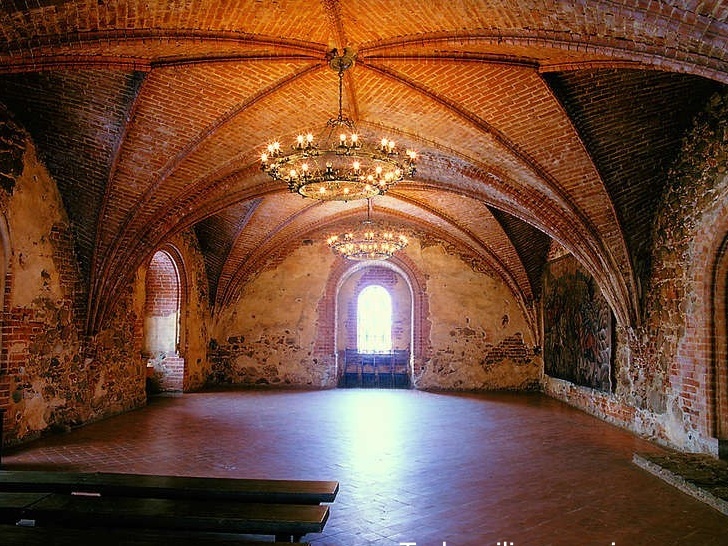 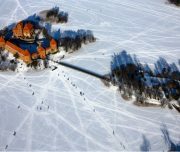 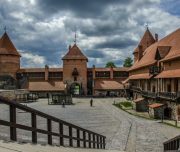 On our tour you will also get a chance to explore a less known partially standing peninsula castle, a Crimean Karaite town located in the northern part of Trakai (between the two castles), enjoy the natural setting of the national historic park backdrop and of course try the Karaite delicacy – Kibinai. 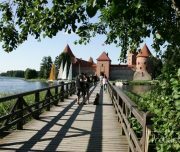 For those who wish to spend more time in the Trakai region, we can offer tours to the following additional attractions, please see the tab ‘additional’ for more information. 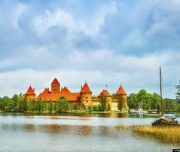 Nicknamed ‘the lake town’ – Trakai is a must visit destination known for a breathtaking beauty of the only castle in Eastern Europe built on an island. 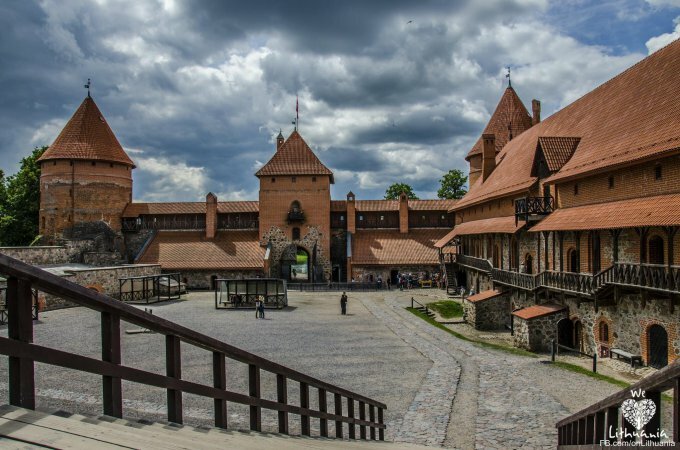 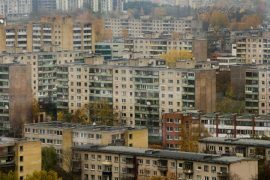 What was once a historical capital of Lithuania is now a beautiful must see destination for both those who enjoy history, nature or adventures. 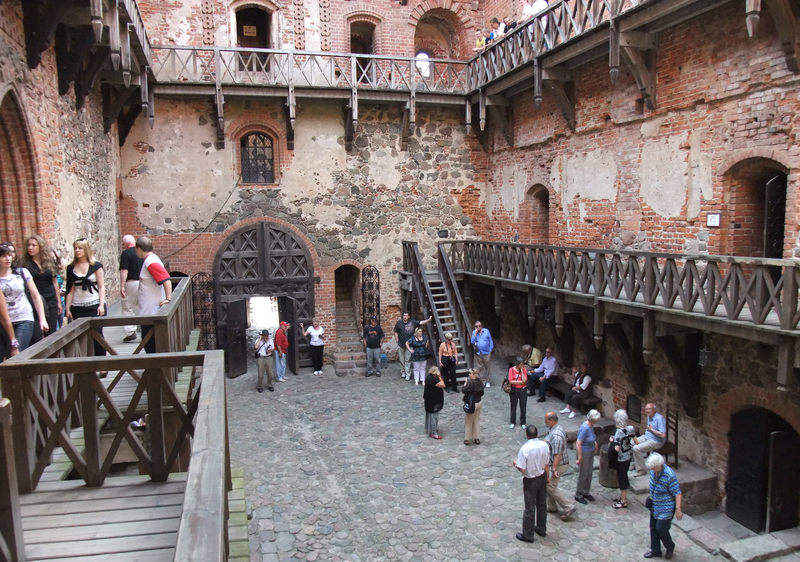 To summarize, the Trakai Castle complex was once a residential palace for the Dukes of the Grand Duchy of Lithuania. 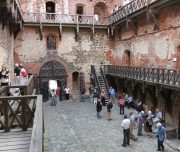 The castle, which is surrounded by a fortification wall is home to a palace and a residential tower. 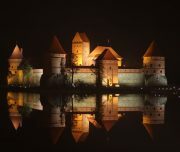 As the status of the capital city moved from Trakai to Vilnius, it did lose some political significance, but it never lost the popularity among Lithuanian dukes and other noble folk. 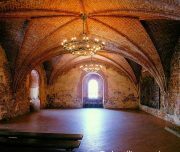 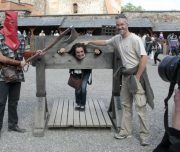 That said, back in the 16th century it was transformed into a prison, where noble war prisoners were held. It was eventually restored and transformed into a museum, back in 1962.
a yacht trip around the Trakai castle.